MUZAFFARABAD, Sept 13 (APP): Prime Minister of Azad Jammu and Kashmir Raja Farooq Haider Khan celebrated Eid ul Azha here and offered Eid prayers at Eid Ghah where thousands of people were present. 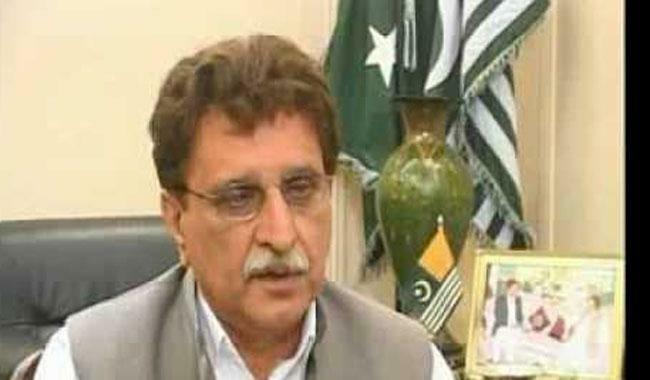 The AJK Premier, later, led a Kashmir solidarity rally organized jointly by Central Seerat Committee Muzaffarabad and International Forum for Justice and Human Rights on the call of Prime Minister Raja Farooq. The rally started from Eid Ghah and culminated at Upper Arah. The participants of the rally chanted anti India slogans and expressed solidarity with their Kashmiri brethren who were passing through a crucial juncture due to continued curfew imposed by Indian authorities for the last two months. The speakers called upon the UN and other International community to take cognizance of grave human rights violation in Indian occupied Kashmir perpetuating by Indian tyrant Armed forces. The AJK PM later slaughtered a sacrificial animal in PM House and met with different public delegations whole day while keeping doors of PM House open for all.